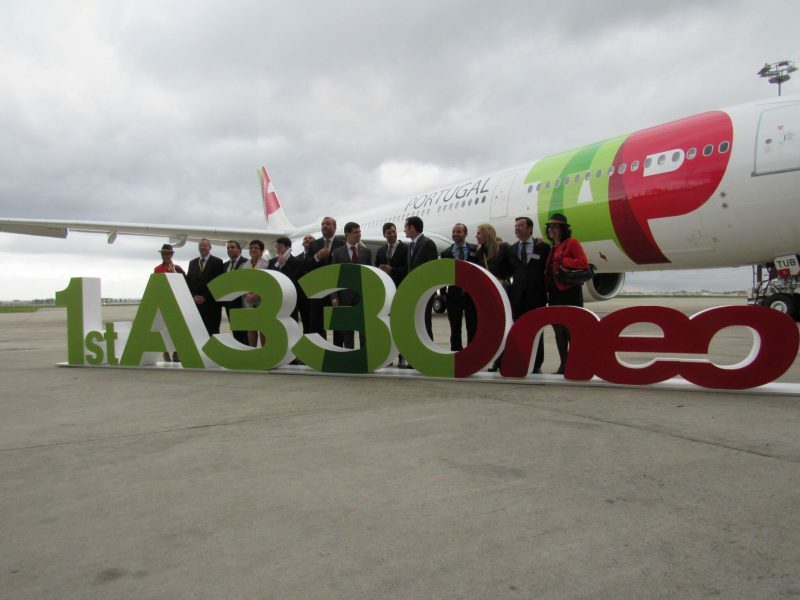 TAP Air Portugal received its first A330-900neo from Airbus on Monday, leased from Irish aircraft leasing firm Avolon as part of an order for 21 of Airbus’ new generation aircraft. 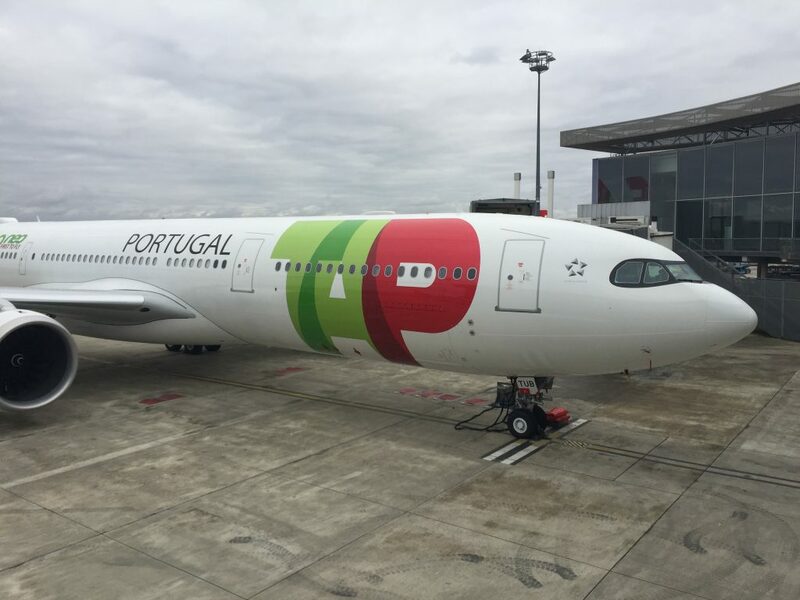 The Portuguese flag carrier is the launch operator of the aircraft and helped Airbus bring the aircraft through its required flight tests and certifications, wearing TAP colors and flying with a TAP crew long before it was delivered to the airline. 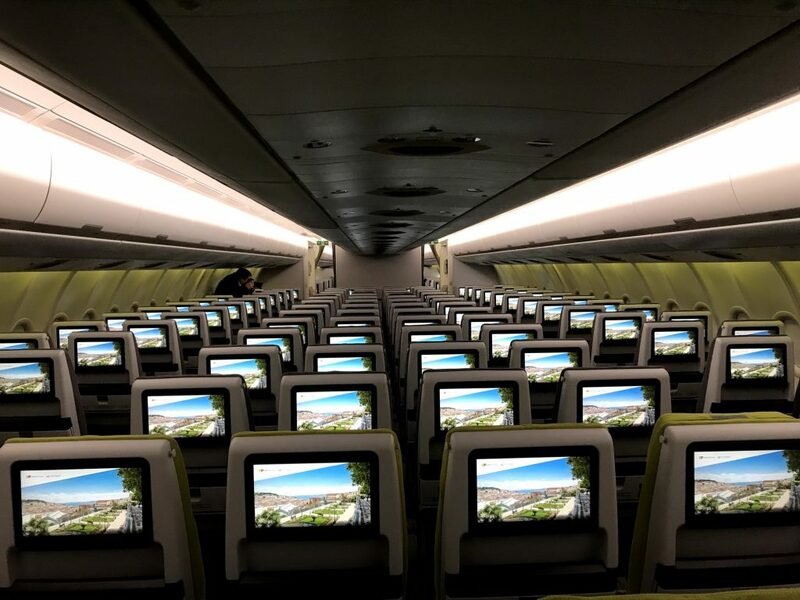 As the airline is undergoing a major restructuring, the fuel-efficient Neo aircraft will be crucial to its long-haul network as TAP prepares to retire most of its aging Airbus A330 and A340 fleet. The all-Airbus carrier can expect 15 deliveries of the new aircraft by May 2019, allowing for a rapid fleet replacement that will see the Neo take over routes currently operated by either the Airbus A330-200, A330-300 or the rare A340-300 that TAP operates. 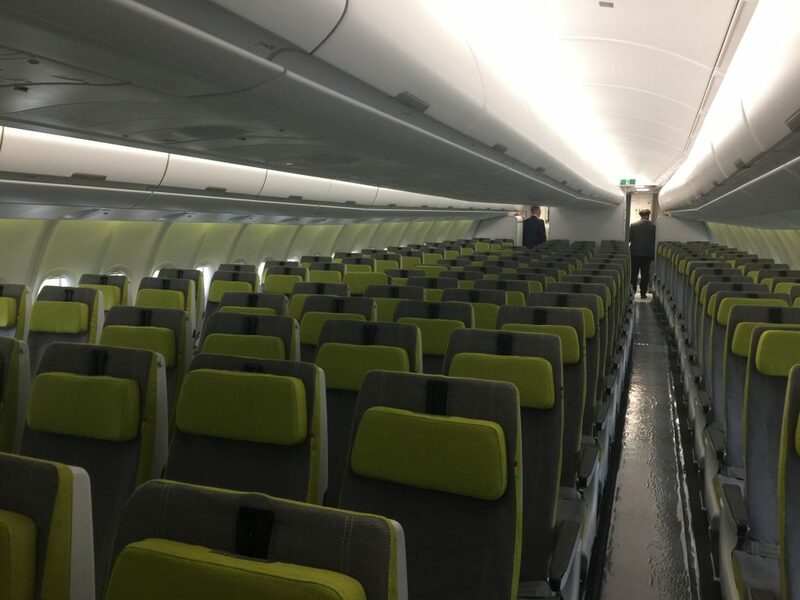 AirlineGeeks had the chance to tour the cabin at the delivery ceremony held in Toulouse to see the upgrades that the A330-900neo boasts firsthand and its configuration for TAP Air Portugal. 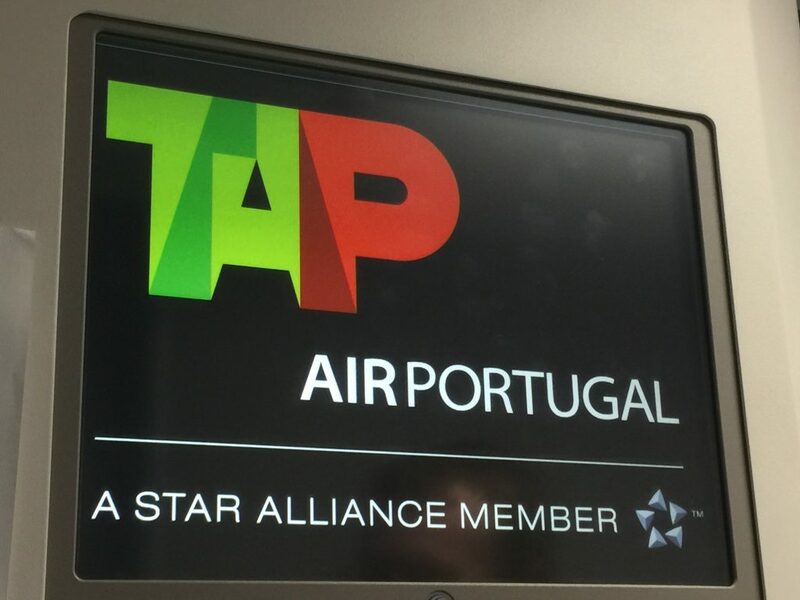 The aircraft delivered to TAP Air Portugal was registration CS-TUB. 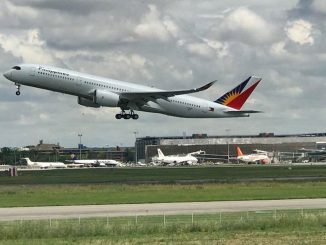 Although aircraft CS-TUA was the aircraft that flew the world tour for Airbus, it hasn’t yet been delivered to TAP yet. 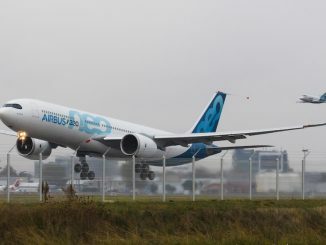 Airbus makes the new A330neo in two variants, the Airbus A330-800neo and A330-900neo, based off of the older generation A330-200 and A330-300, respectively. 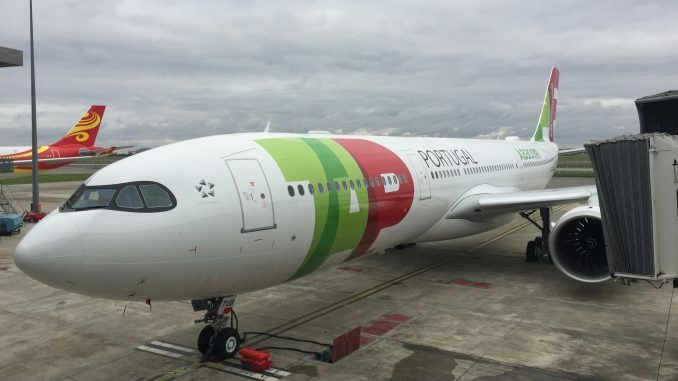 TAP ordered the longer A330-900neo variant, which measures in at 6meterses long and boasts a range of 7,200 nautical miles, according to Airbus, 850 nautical miles greater than its older generation counterpart. 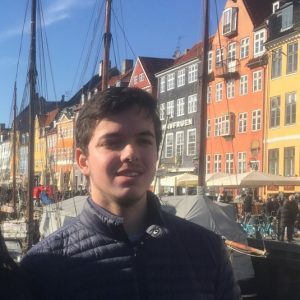 Although the longer version comes at the expense of range and a slight increase in fuel consumption, it allows the airline to carry more passengers and provide a better cost per passenger ratio, something which airlines eagerly look for and explains its popularity over its smaller sibling. As TAP is known as an inexpensive airline, cost savings are vital, especially when fuel is a variable cost. Save for a few details, there are little differences in the two fuselages of the Neo and the current engine option aircraft. The new and improved version of the A330, however, features several structural changes, despite using the same frame as its predecessor. The improvements increase fuel efficiency and provide greater levels of passenger comfort. 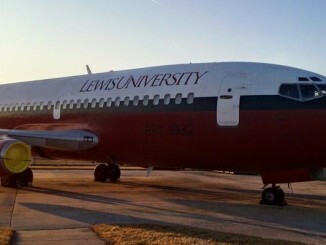 The aircraft features improved wings that are 3D designed and printed and use composite materials in their structures. 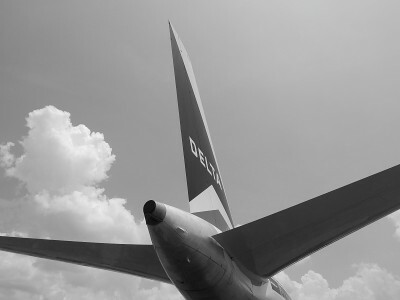 The wings measure 64 meters, incorporating Airbus’ signature Sharklet wingtips to further reduce air resistance. Powering the aircraft is the newly-designed fuel-efficient Rolls Royce Trent 7000 engine, specifically designed for this aircraft type and used exclusively by it, that set new standards for cabin quietness and are certificated with EASA chapter 14 noise reduction standards. 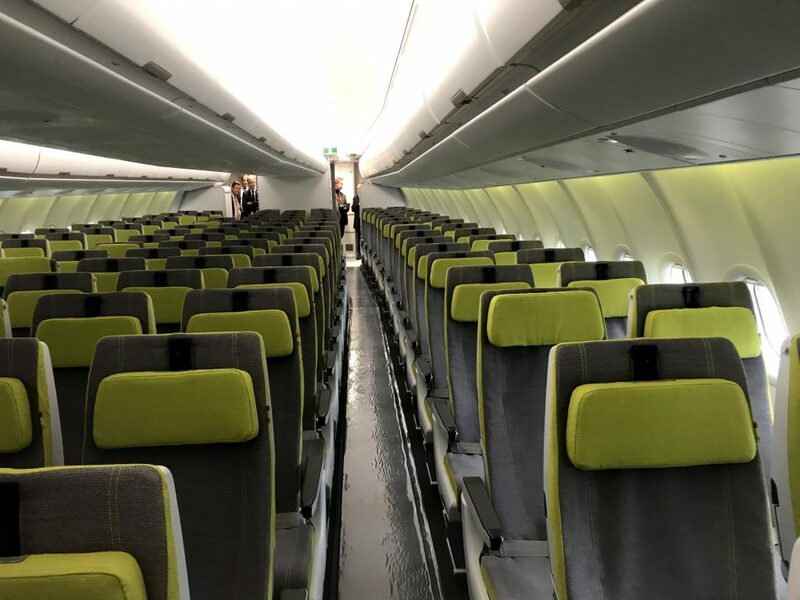 One thing about the A330neo is that it doesn’t feature a new cockpit window mask, rather one is painted around them to emulate the A350 appearance. 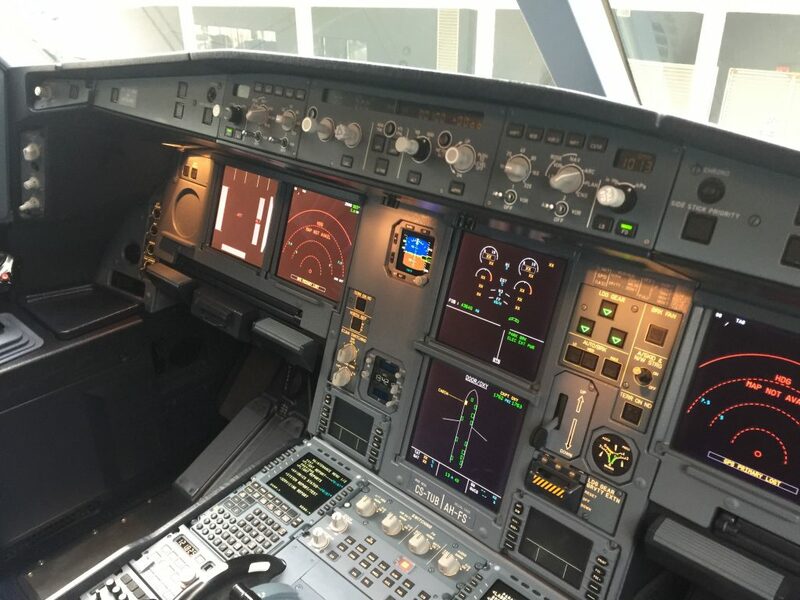 Both aircraft share significant technological aspects and have simple crew transition procedures, providing airlines the flexibility to better schedule flights and aircraft types based on demand. 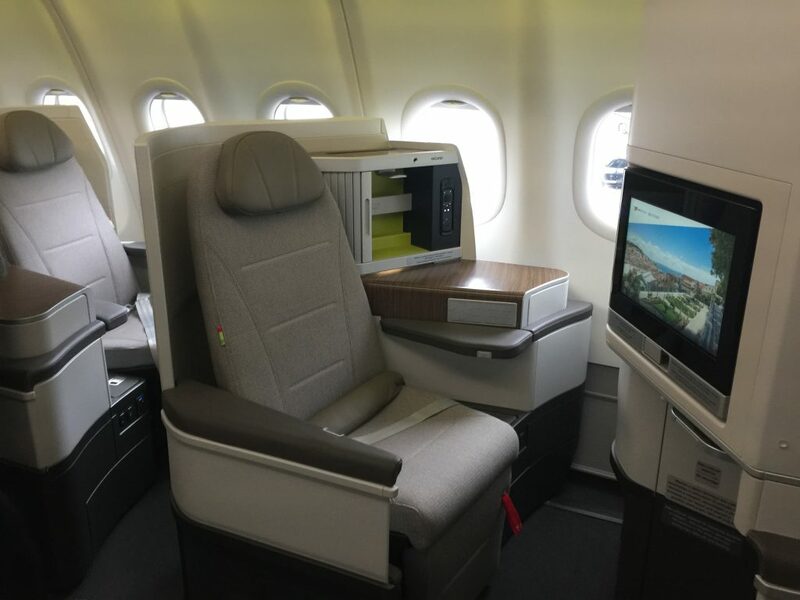 TAP’s A330-900neos feature 298-seats in a two-class configuration consisting of business class and economy class. 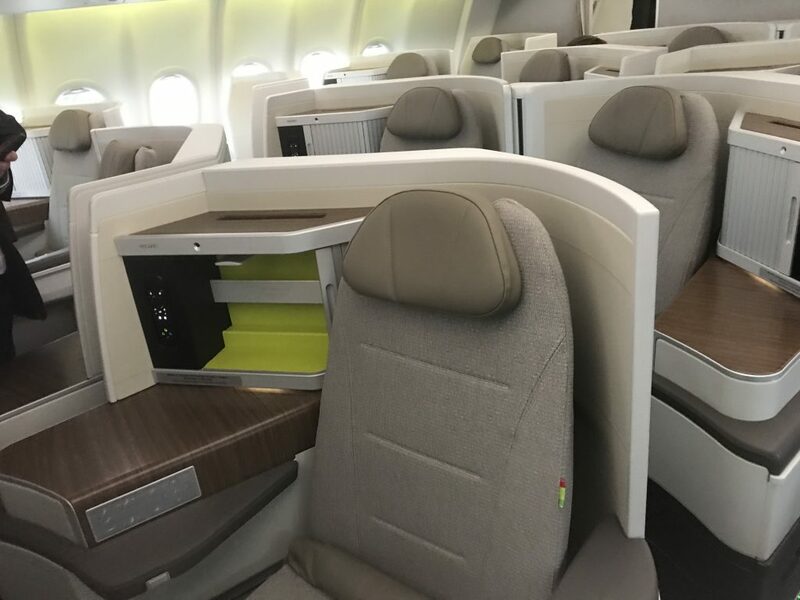 Although the aircraft does not feature a premium economy class, a large portion of the forward economy cabin consists of extra legroom seating. 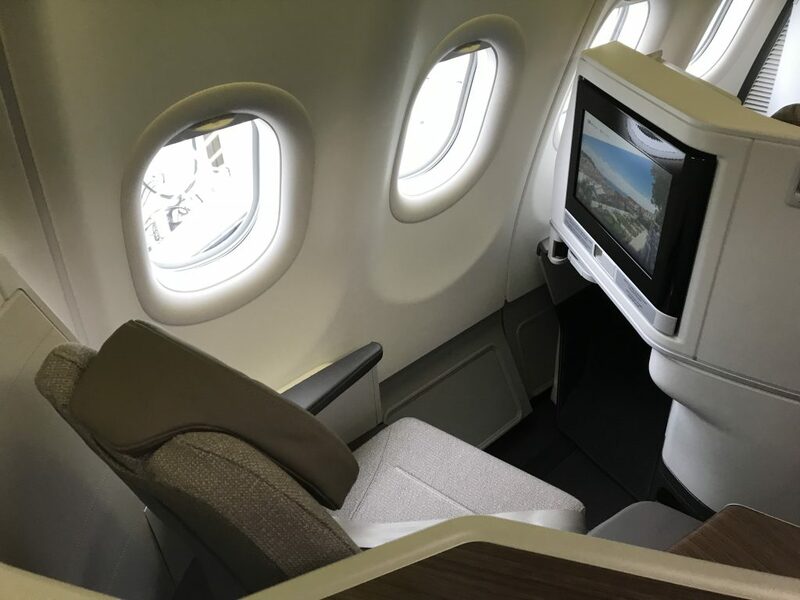 The first thing that strikes as one steps in is the wide sense of amplitude in the cabin, thanks to Airbus’ Airspace cabin, providing passengers a similar experience to the larger A350 which debuted the Airspace concept. 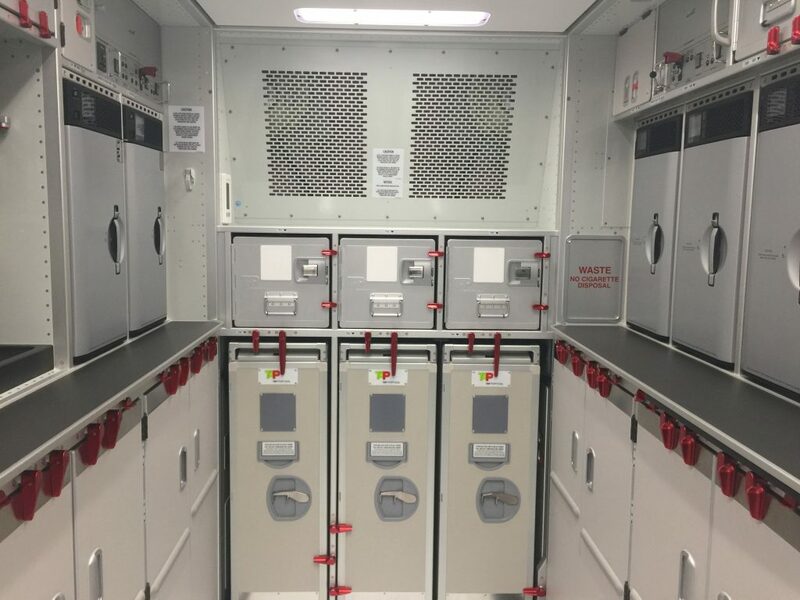 The Airspace cabin is highly flexible and airlines are allowed to pick and choose which of the new features they want in their cabins. 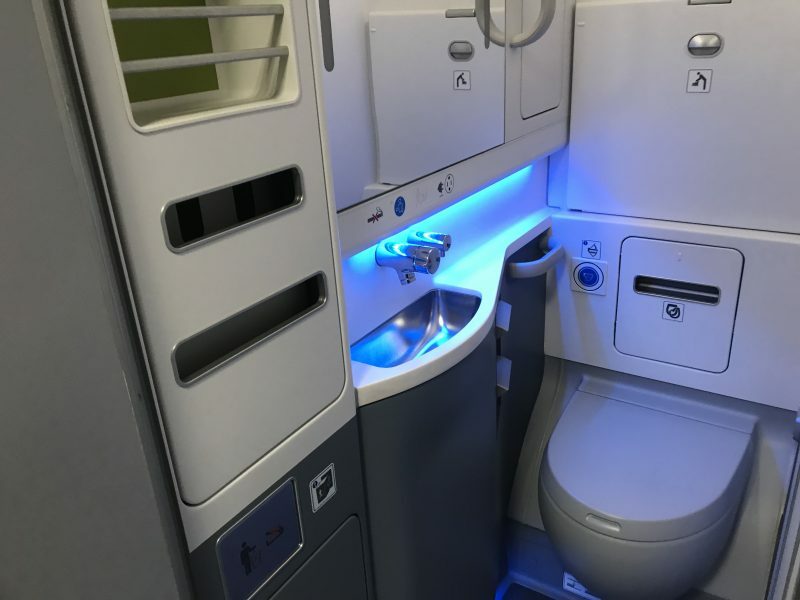 Although TAP opted out of some of the more lavish additions, it does feature an ambient mood lighting system, upgraded lavatories and larger storage bins, giving the cabin a very stylish and modern feel while providing unseen benefits to passengers. 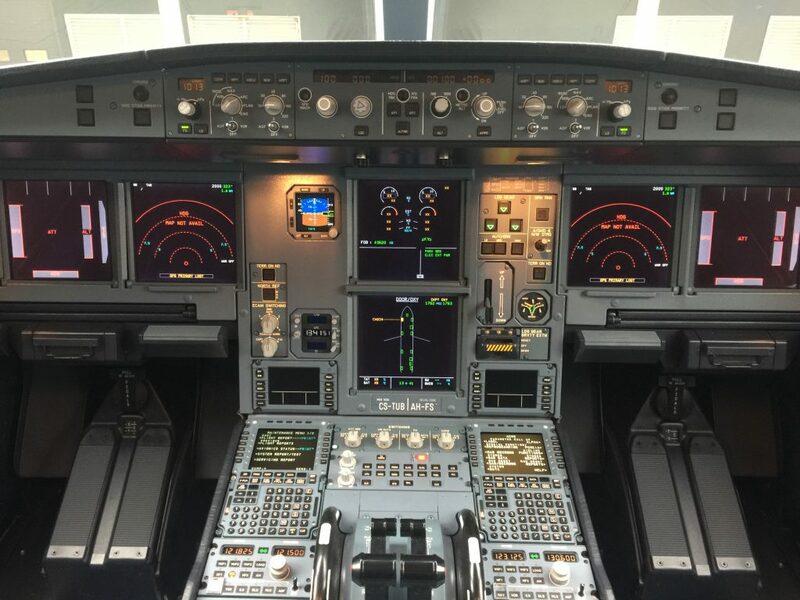 For airlines with fleets consisting of Airbus aircraft, as TAP has, a pilot can go from an Airbus A320 cockpit to an Airbus A330neo cockpit with ease, maintaining the same knowledge of both cockpits because they are essentially the same. Additionally, the A330neo shares the same type rating for the older generation A330s, meaning only a differences course is required for pilots instead of a long and expensive type rating course. 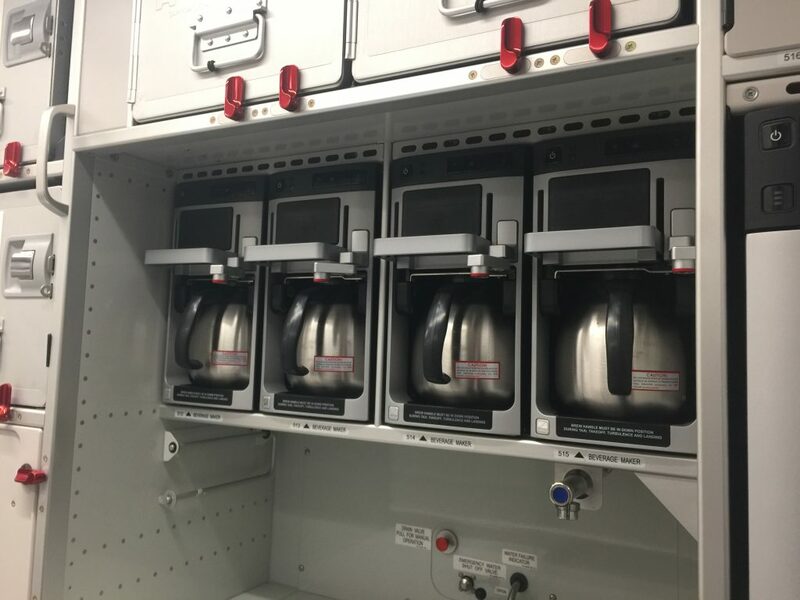 Although the cockpit doesn’t have the large glass screens and upgraded flight management computers found on the A380 or A350, the interchangeability factor is important for airlines looking to save costs and increase safety in the cockpit. 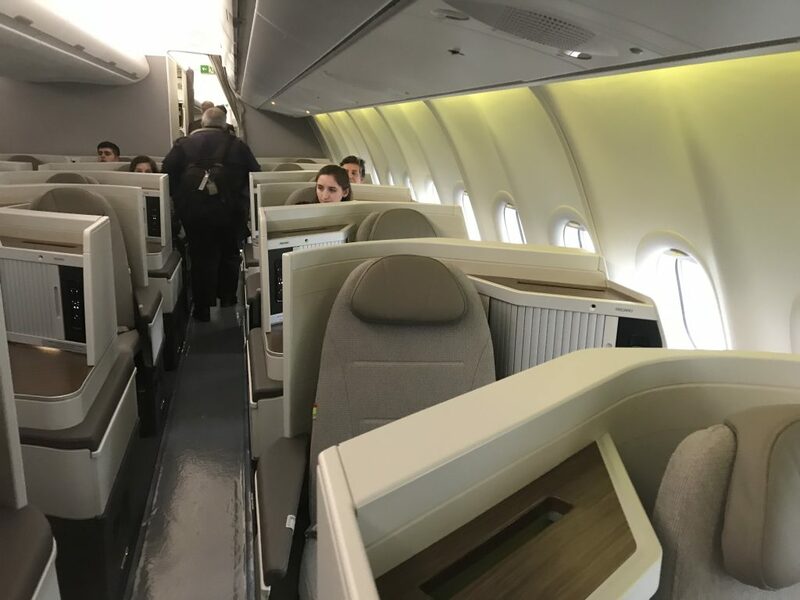 Business class on TAP’s newest aircraft is configured with 36 seats in a staggered 1-2-1 layout occupying the first nine rows of the aircraft. 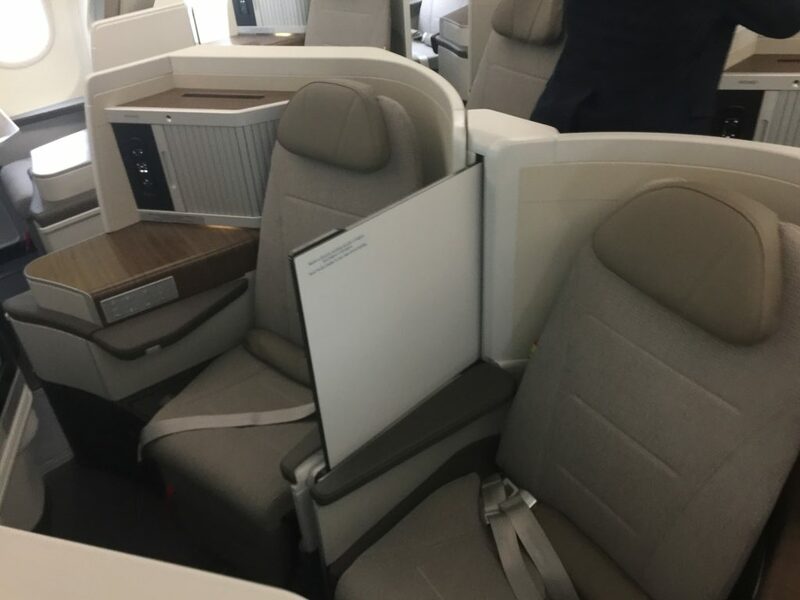 The cabin features lie-flat Recaro 6710 business class seats with trimmings such as beige padding and wood and silver imitation throughout the seat consoles and tray tables. In the center aisle, you’ll find a mix of coupled honeymoon seats and separated aisle seats. Honeymoon seats are ideal for couples as they are located directly next to each other without so much as a center console to divide them. If you’re traveling solo, however, a partition can be formed to allow for a modicum of privacy. The aisle seats have more privacy as there are consoles separating the two seats. 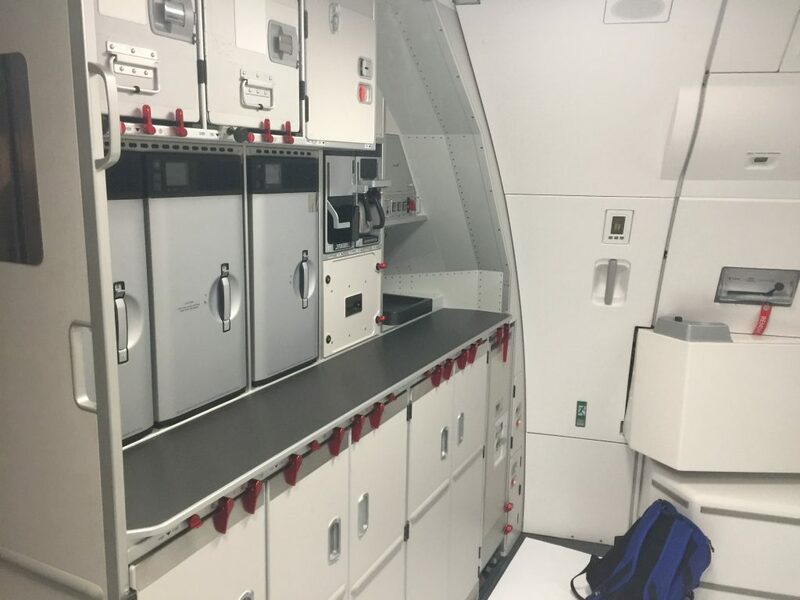 Window seat lovers will be eager to choose seats along the cabin wall in rows 2, 4, 6 and 8 as these are placed close to the window with the center console facing the aisle, allowing for maximum privacy. Seats in rows 1, 3, 5, 7 and 9 are placed favoring the aisle with the console closer to the window, so privacy might be an issue in these seats. 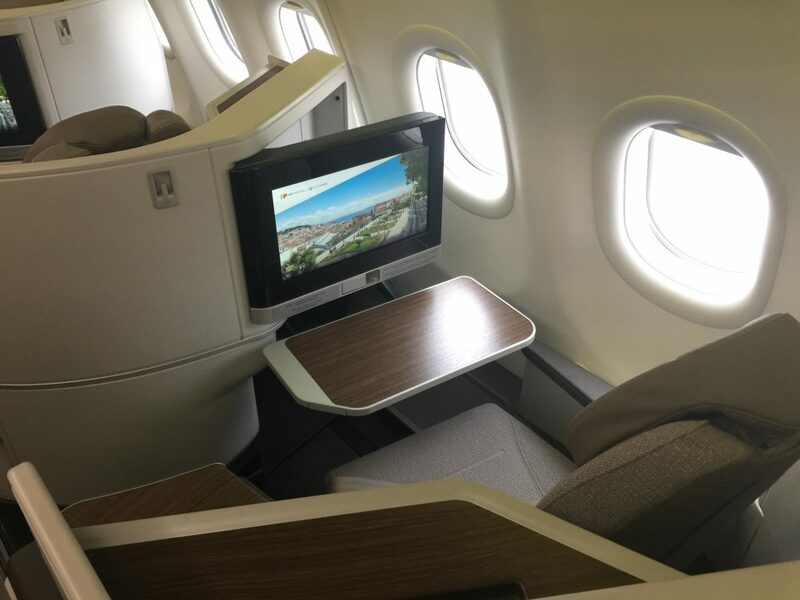 Standard amenities at business class seats consist of a high-definition in-flight entertainment screen, movable tray table, USB charging port, 110v AC power outlets and overhead reading lights. 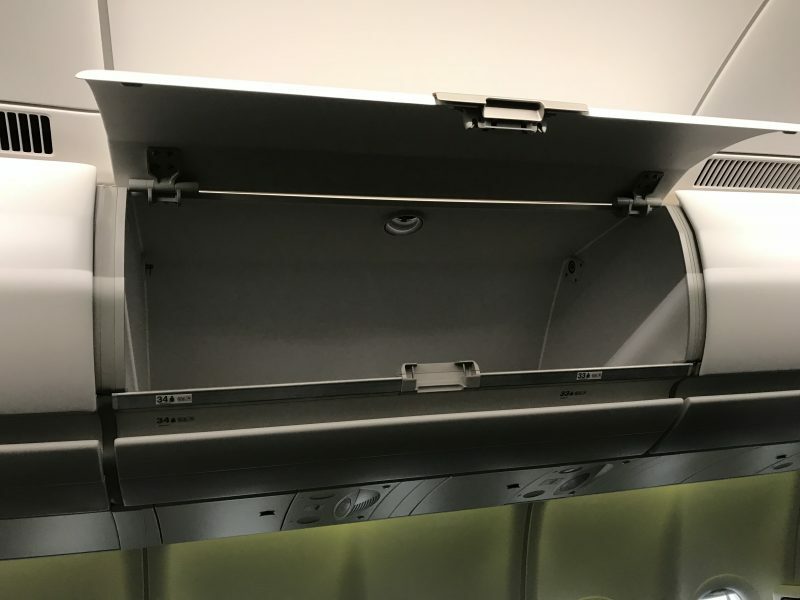 All seats also feature numerous storage compartments, with one in the seat console big enough to store a tablet or small laptop, as well as a smaller compartment in the small space in between the seat and the consoles. 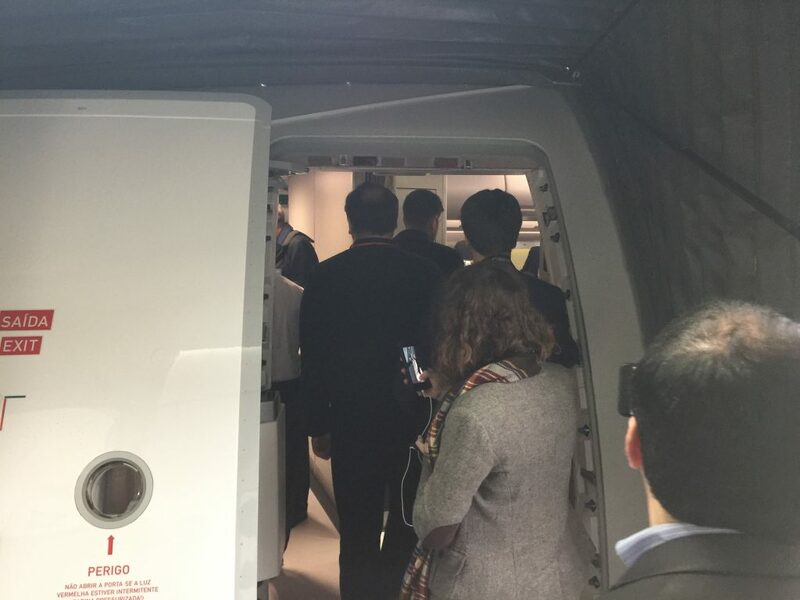 Moving back behind the mid-galley and second boarding door, we came upon the economy class cabin. Configured in the A330’s traditional 2-4-2 configuration, economy class features 264-seats divided into two sections based on legroom. The extra legroom section, branded as economy comfort, features 96-seats with 34 inches of pitch. 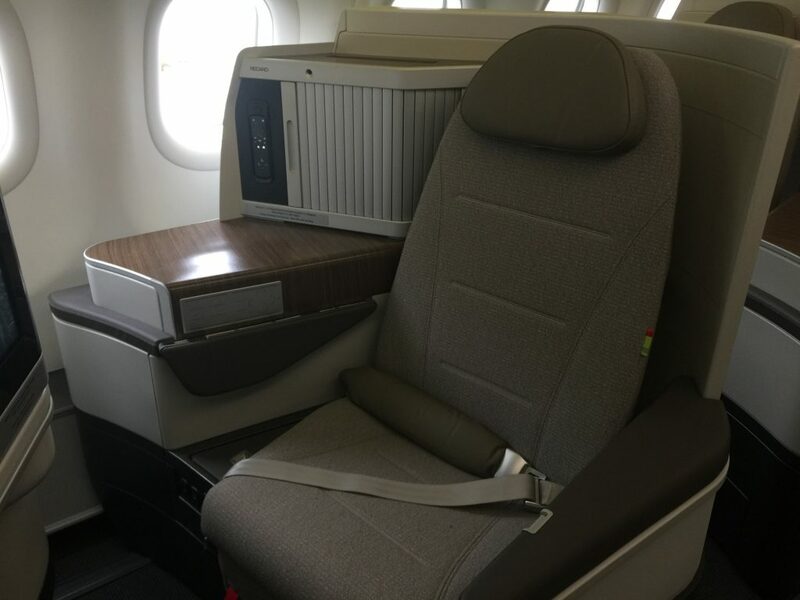 These seats take up most of the forward economy cabin and are denoted by a grey headrest on the seat. 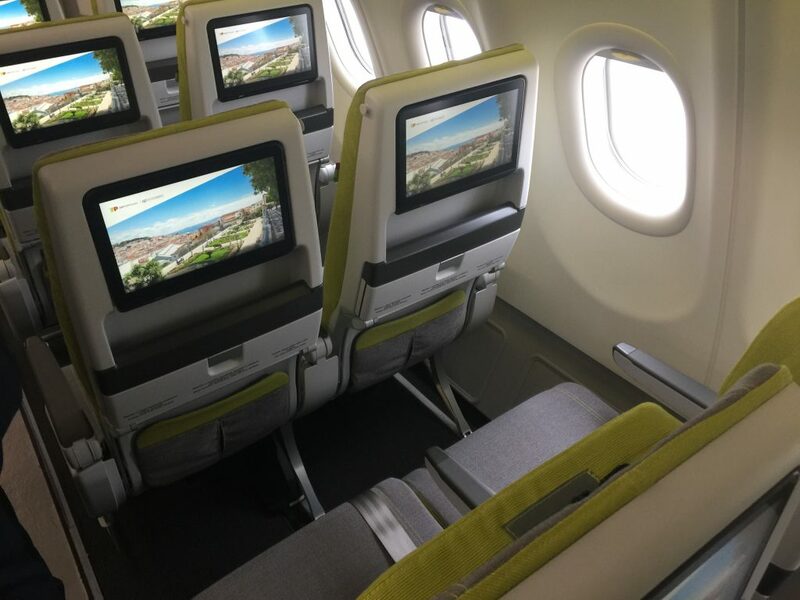 Further down the cabin, the standard economy seats are distinguished from the extra legroom section by featuring green headrests that add some light to the cabin. 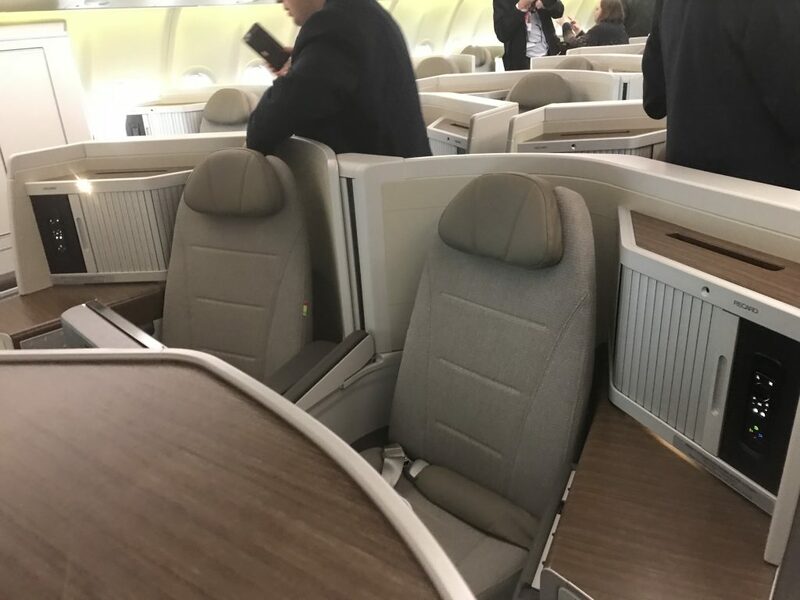 Both sections share the same layout, except for the last few rows that go down to a 2-3-2 configuration, and regular economy seats feature an industry standard pitch of 31-inches. 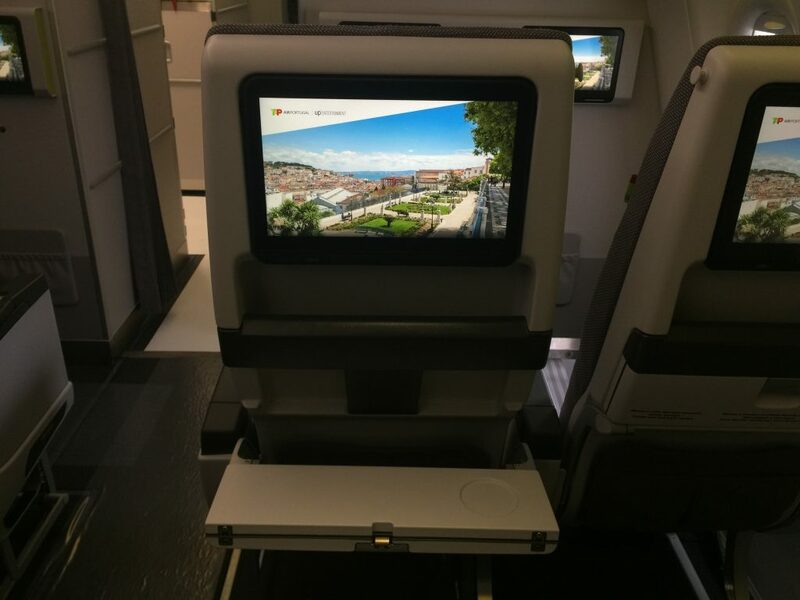 The slimline seats, standard for its type, feature high definition in-flight entertainment systems, foldable tray tables, redesigned seatback pockets with two pockets, USB charging ports, adjustable headrests and 110v AC power outlets. 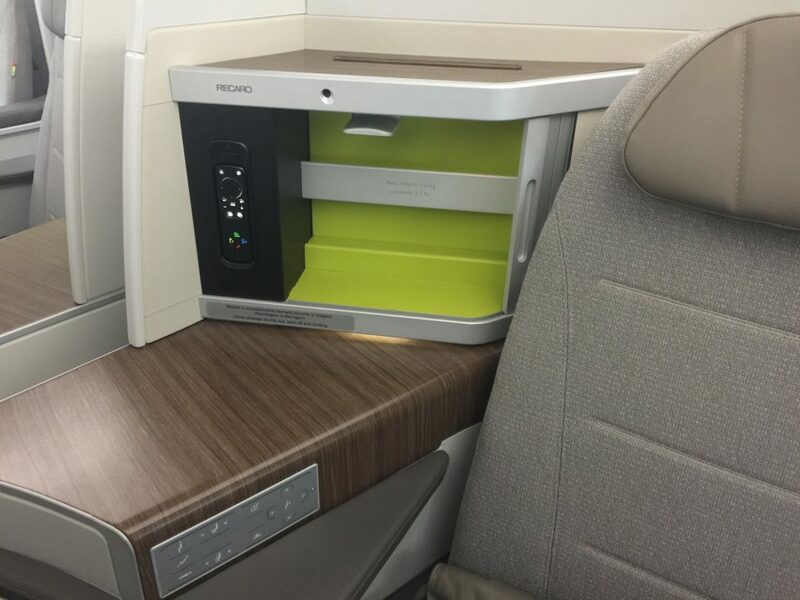 Even luggage will be more comfortable as the Airspace cabin features larger storage bins. 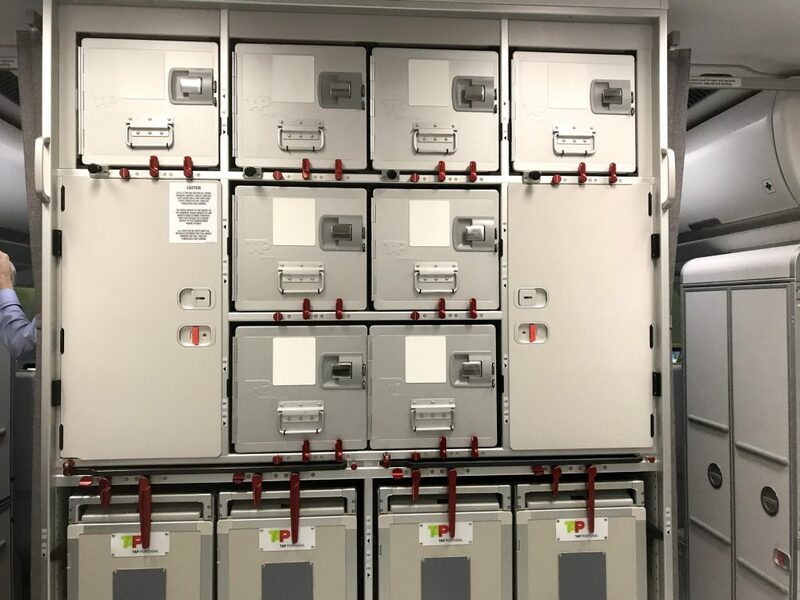 Airbus claims that the new bins feature 66 percent greater capacity which translates into 90 additional bags that can be stored in the overhead compartments. 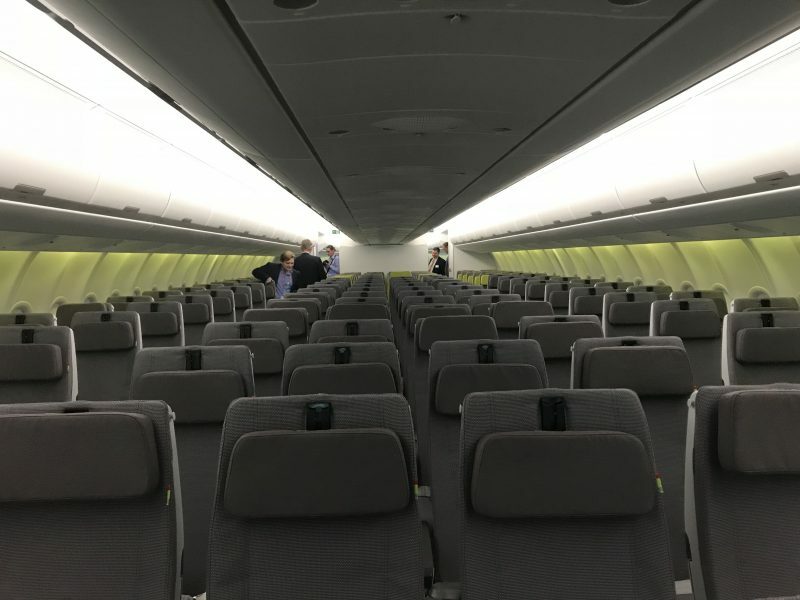 The A330neo is surprisingly spacious, especially given the already generous increase in seats from the older generation A330-300, providing enough room for crews to do their work and passengers to stretch out. 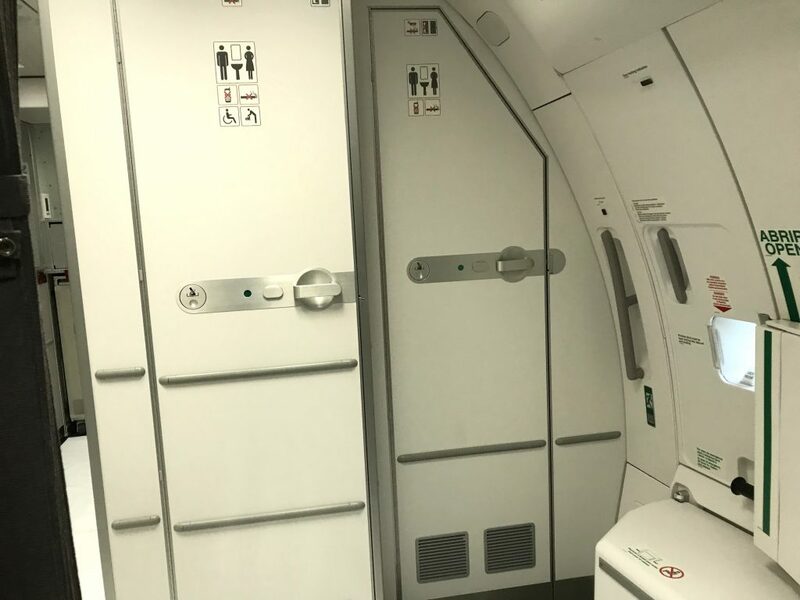 As it is increasingly common in the industry, lavatories are reduced in width to accommodate two in a reduced space, although there is a larger accessible toilet for those in need of one. Additional improvements, however, include lighting and an automatic sink. 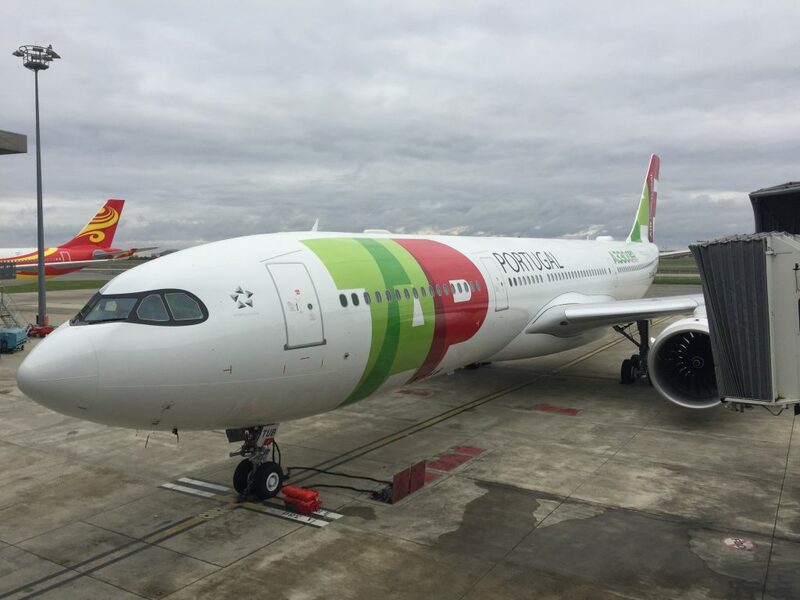 Although the aircraft still has to get approval from Portuguese authorities, the airline expects the aircraft to enter service on its flagship Lisbon-Sao Paulo route in December. 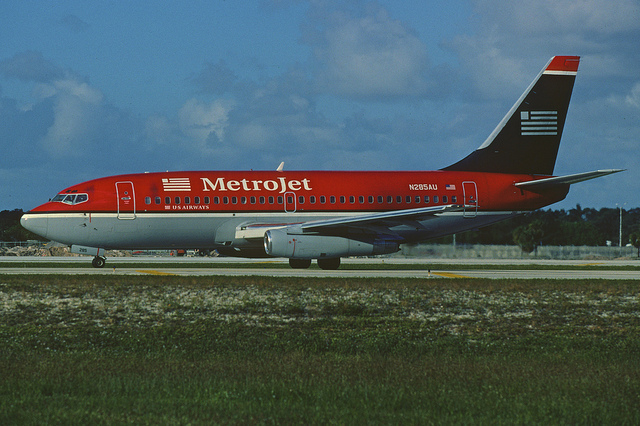 With the large number of planes to be delivered in the upcoming months, more and more routes will see a Neo replacing older long-haul aircraft. The likely second destination will be New York, which TAP serves via JFK Airport and Newark Liberty Airport. 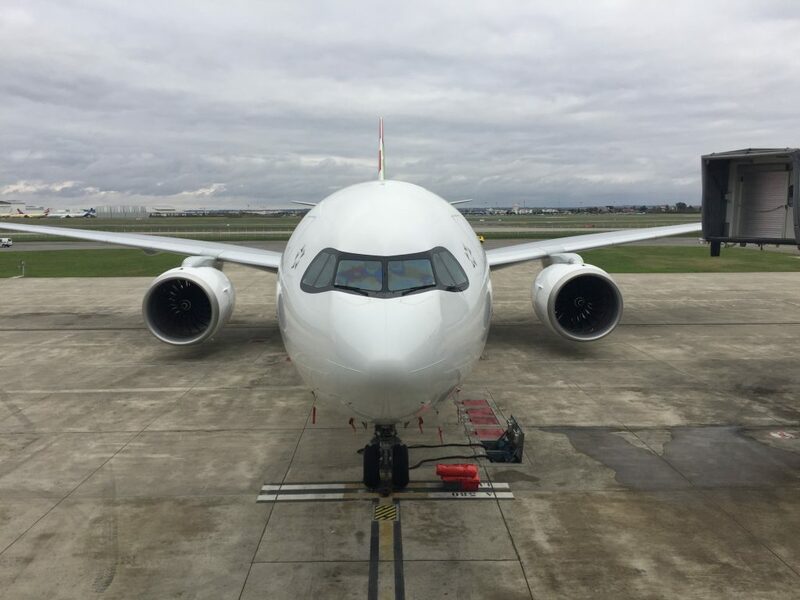 Its a new day for TAP Air Portugal and the aviation industry as a new aircraft will take to the skies, forever changing the landscape with each new innovation.